A previously overlooked group of cells may be crucial to the process of bone loss in post-menopausal women, according to researchers from Johns Hopkins. The investigators said that the discovery makes the cells, known as preosteoclasts, a likelier subject for further research. It also sheds lights on the success of an osteoporosis drug that’s in a trial phase. The findings, which were based on a mouse model, were published in the journal Nature Medicine. In addition to being necessary for strength, bones are also a warehouse for calcium. Cells throughout the body use calcium continuously for crucial tasks including hormone balance. 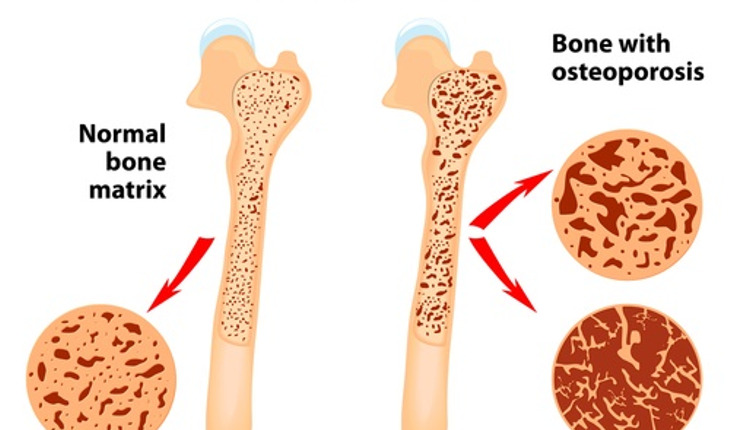 Osteoclasts attach to the bone and dissolve the calcium so it can be distributed throughout the body. This process, called resorption, is balanced with bone building, but bone resorption can outweigh bone building in menopausal women. That leads to osteoporosis, which affects an estimated 25 million women in the U.S. But the experimental drug, odanacatib, decreases the proportion of bone resorption, by dismantling the action of CTSK, an enzyme that’s used in bone resorption. That was previously known, but Cao’s research found that the drug also increased bone rebuilding.